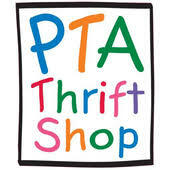 Tuesday is Senior’s Day at the PTA Thrift Shop! Poetry readings will begin at 7:30 followed by music promptly at 8. Bring your prose, bring your guitar, bring your friends! 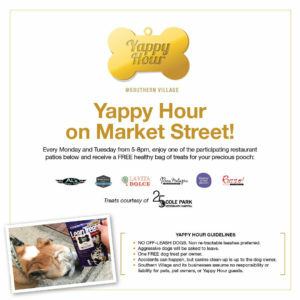 This event is FREE- but tips are greatly appreciated! Weekly Open Mic at King Street Bar. 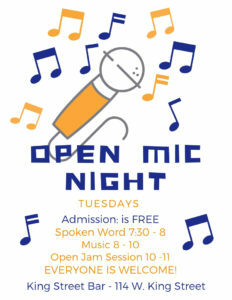 Spoken word/poetry readings will begin at 7:30 followed by music promptly at 8. Bring your prose, bring your guitar, bring your friends!